The Christian Mission Fellowship International’s Global Mission Con­ference began on Sunday with four world speakers addressing delegates at the World Harvest Church in Kinoya, Nasinu. 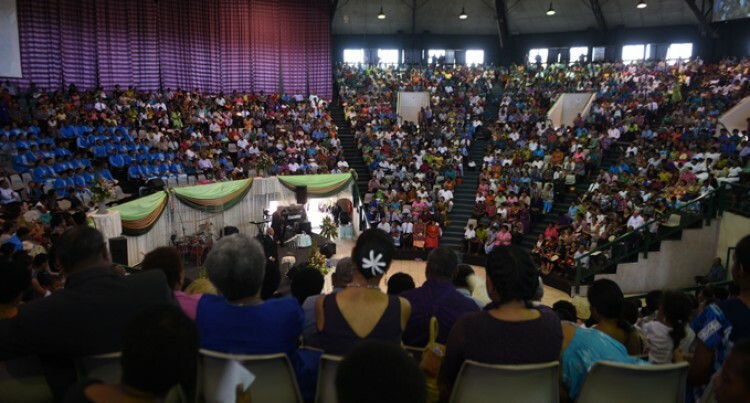 The conference brings together CMF members from around Fiji and abroad.Guest speakers include Bishop Tony Miller from Oklahoma, America, Pastor Joakim Kundqvist of Word of Life Church in Swe­den, Pastor Leon Fontaine from Canada and Bishop Kenneth Ulmer of Faithful Central Bible Church of America. Bishop Miller, in his address to the hun­dreds of members present at the church referring to the theme “Global Mission Conference focusing on Asia”, said having spent some time in Asia he recognised Asia as one of the places Jesus desired for some work. He said it was an honour and joy to be in relationship with the CMF leadership whom he met in 1994 at a world mission con­ference. “My life has been enlarged because of the relationship,” Bishop Miller said. He said compared with the church he preached in, he prayed that the open heart and desires for God shown by the CMF church members reached them too. Meanwhile, Pastor Manasa Kolivuso in another church session spoke on the heart of giving and how much the people of Asia needed their support. He said there was a great need in Asia for them to be supported with the word of God. He said there were 7400 unreached ethnic groups in Asia alone, meaning that less than two per cent of the estimated total population of the 50 countries that make up Asia had become Chritians. “Somebody said the church today had more than 3000 times more financial re­sources and 9000 times more manpower to fulfill the great commission,” Pastor Koli­vuso said. He said 100 churches were now built in Cambodia alone and this called for a cel­ebration, but it was still not enough. “We need to build more churches.” The confer­ence will run for a week.